Split bedroom ranch featuring a wide open and vaulted living area, his & her walk-in closets, hidden walk-in Pantry, Utility room short-cut, Covered deck, Covered porch and an oversized Garage. The Basement is designed to add a large Recreation room, 3 more 12' x 12' bedrooms and a full bath. 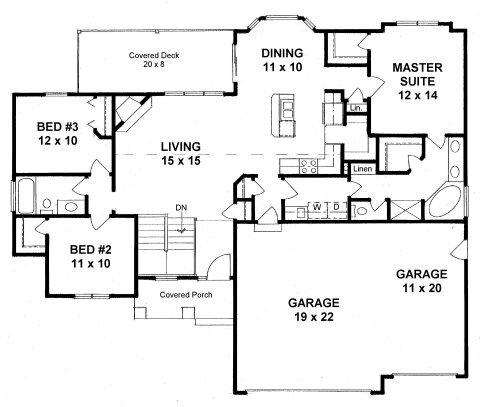 Kitchen, Foyer & Master suite.